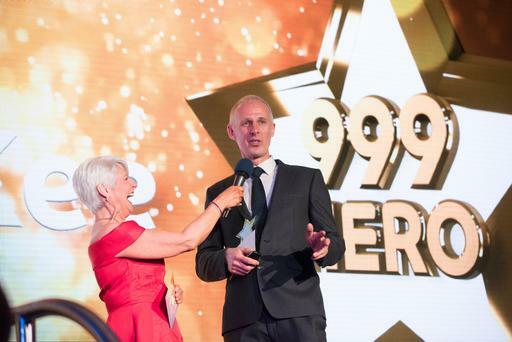 A veteran Belfast fire fighter known for going above and beyond the call of duty was our 999 Hero Award winner last year. Noel McKee, who is also renowned for his tireless charity work, had a distinguished 31-year career at Whitla Fire Station in north Belfast, retiring just a month after receiving his Spirit of Northern Ireland Award. However, his work to help people in need has continued since his retirement. As well as running a counselling service, he and his wife gave up their Christmas Day last year to cook for people who otherwise would have been on their own. He is also planning a mammoth charity challenge this year to raise awareness of the high suicide rate among people aged 45 to 54. Noel (51) attended the Spirit of Northern Ireland Awards with wife Gillian and sons Tom (17) and 15-year-old Cameron. He was stunned to receive his award, which was presented by actresses Niamh McGrady and Bronagh Waugh. "You never do these things expecting to get recognition," Noel said. "I'm not one for the spotlight, but it feels good to get it. "For me the best reward is having someone I love beside me and seeing my two sons grow up into lovely young men. "I couldn't do the things I do without the fire service. I come up with ideas, but they would fail if no one got involved." During his charity work within the fire service, Noel helped raise £1m for good causes. However, despite being there to save lives, his job was not always made easy. In 2015 Noel and his colleagues were attacked when responding to reports of a car deliberately set on fire in the New Lodge area of Belfast. He and his crew were attacked by a gang, with Noel being beaten with a baseball bat and sustaining leg injuries. But despite everything, he stayed on duty. And far from the incident turning him against the community, it made Noel determined to foster closer links by holding regular open days at Central Fire Station in the city. 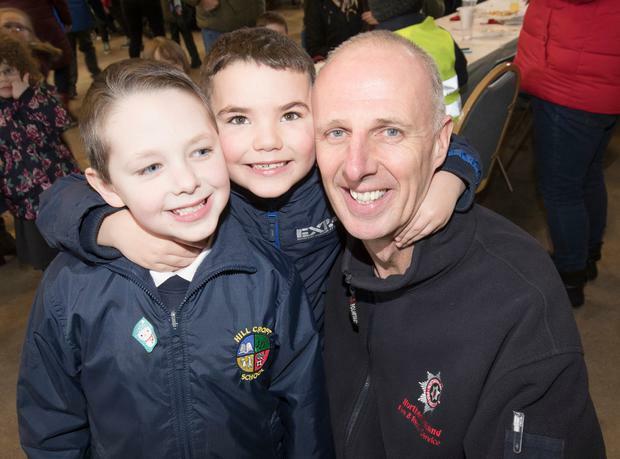 Noel also helped to develop a Healthy Body, Healthy Mind initiative in partnership with MindWise and Northern Ireland Chest Heart and Stroke, the aim being to teach colleagues about the importance of physical and mental wellbeing, as well as raising funds for the fire service. 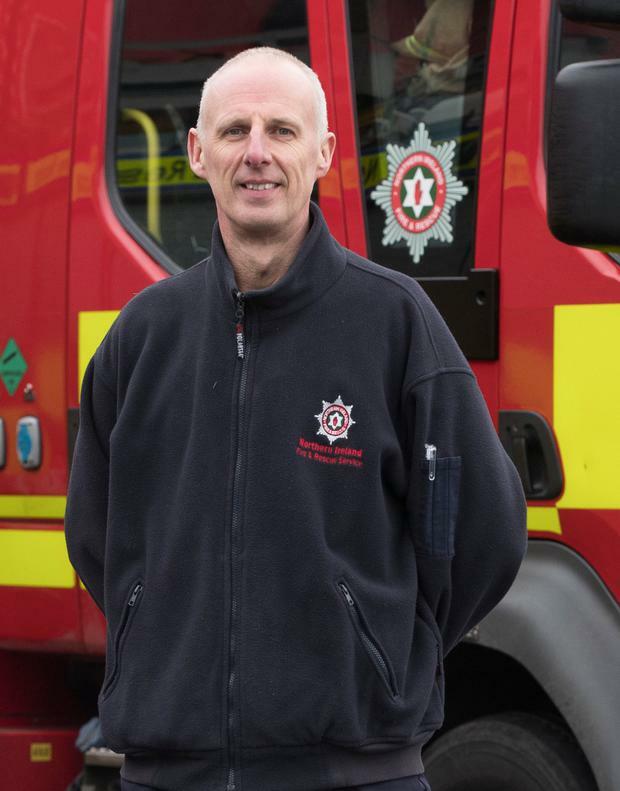 Now that he has retired from the fire service, he focuses full-time on counselling. While he was worried about leaving the service after nearly 32 years of being on call, the decision gave him a new lease of life and sense of freedom. The 999 Hero says: "I had a bit of trepidation about what life was going to be like, but I actually did find it very liberating in the end. "I have no night shifts and I have been about for birthday parties and family events. I also had Christmas off. "It becomes ingrained in you over the years that you will miss things like that, but all of a sudden I had this freedom and time to explore a different angle on helping people. "Last Christmas my wife and I decided to hold a dinner for people who could use a bit of company on Christmas Day. "It was wonderful to be able to do that. We had 36 people for Christmas lunch and it was a special way to spend the day. "It was all done by ourselves, although people donated food and turned up to help on the day. "I'm lucky I have more freedom to do things like that. I have been as busy as ever." Being in the fire service requires a high level of fitness, which is something Noel was determined to maintain. Combining his work as a counsellor with his need to challenge himself, he is planning a 1,000km cycle during Mental Health Awareness week in May to highlight the high rate of suicide among men in the 45-to-54 age group. He will be accompanied by three friends as he sets off from the southernmost tip of Ireland, Mizen Head, travelling to the northernmost tip at Malin Head, with the extra challenge of cycling to Belfast afterwards. Working alongside MindWise and Business in the Community, Noel hopes to call into schools, colleges and workplaces along the way to spread his message, raise awareness of a new initiative called Take 5 and promote the here2help crisis intervention app, all of which aim to encourage people to talk about their mental health. "All four of us are in our 50s and we want to show that life doesn't finish at 50 and there is life in the old dog yet," he says. "It is an age group in which suicide is very high. In 2013 the 45-to-54 age was the top group for male suicides. "Men are three times more likely to take their own lives than females and it isn't talked about often enough. "People think by the time you reach 50 your life should be sorted, but the reality is different for people who are dealing with different issues like redundancy, bereavement, ill-health or marriage break-ups. "We hope this shows that life is not over. Just because we hit 50, age need not be a barrier to taking on a challenge. Keeping active boosts good mental health. Working as a team, we can overcome major hurdles." Noel runs his own practice, East Antrim Counselling, in Kilroot Business Park. We want your nominations for who you think is worthy of a Spirit of Northern Ireland Award in 2019, by selflessly serving others and being an inspiration to us all. Someone aged 18 or under who should be recognised for their special achievements. This award recognises a truly inspirational teacher who has helped children and young people fulfil their potential. Someone who the judges feel represents the Spirit of Northern Ireland by selflessly serving others and being an inspiration to us all. By Stephanie Bell She is only 10 but Emily Magee has found a way to cope with heartache by helping others. By Stephanie Bell Hundreds of people are preparing to pound the roads in Omagh next month in what has become an annual tribute to a young man whose memory lives on in the good work of his family. By Stephanie Bell Life has changed enormously for Newry child Alex McMahon since he stepped on to the stage to pick up the Special Recognition gong at last year's Spirit of Northern Ireland Awards ceremony.